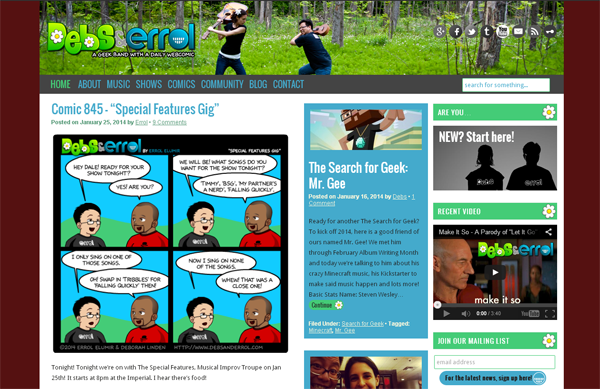 Errol: Huzzah! 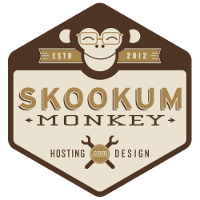 Thanks to Jules of Skookum Monkey, we finally got our website design complete! You have no idea what Jules had to go through working with us. First, I would give Jules direction on things. And then Debs would state different things. And then I would start telling Debs my reasons for wanting things. And then Debs would tell us why she didn’t want it a certain way. In the end, I wanted things to be more functional and Debs wanted pretty. And stuck between us was Jules. Poor Jules. 4 Responses to Our New Web Design!